Why Qriyo is the Best? If you don't like our Qriyo Guru, we will replace him/her. I was suffering from arthritis and spondylitis. 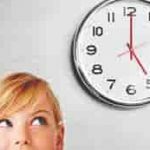 Being overweight troubled me more. I took prescription from many doctors, participated in Yoga workshops, but didn't get any good results. Personalized classes from Diksha Jamwal (Yoga Guru) has helped me a lot. I feel fitter these days. My mother is 70 years old and has a problem of back pain. Doctors suggested doing yoga and that's when Qriyo helped us getting a Yoga Instructor at home, now she is improving day by day. My younger brother Parag is taking Guitar classes from Qriyo, and he is quite happy with the teacher, recently he is selected in inter school music competition as a Guitarist. I'm a single mother and my son was losing interest in studies, Qriyo tutor helped my son to clear his 10 board exams. Very thankful to Team Qriyo. Looking for a Home Tutor in Udaipur? 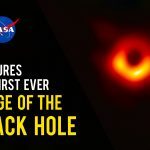 NASA captures the first image of a black hole ever! 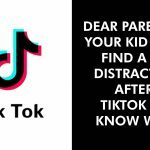 Dear parents, your kid will find a new distraction after the TikTok ban. Know why? Udaipur, The city of lakes is one of the most beautiful city of India. It is a major tourist destination and home to premier institute like IIM. In 2016 Qriyo Started Home Tuition Services in Jaipur, offering Home Tutors for multiple categories. Till date, Qriyo has served 430 customers and have 80 Tutors or Qriyo Gurus in Udaipur. Qriyo provide home tutors for all areas in Udaipur. Qriyo provide tutors for various categories such as Academics, Yoga, Music, Dance, Art and Crafts, Languages and Personality Development in Udaipur. We have largest number of well qualified, experienced tuition teachers or tutors in Udaipur. This makes Qriyo, undisputed market leader in home tuition across Udaipur. Are you looking out for home tuition in Udaipur? You can also download Qriyo App from here. Qriyo makes your home tuition experience hassle-free by providing you the best home tutor in Udaipur for your request. If you are a tutor and looking for part time job opportunities in Udaipur, you can download Guru App. Via Guru App, you will be able to find home tutor jobs near your area in Udaipur.